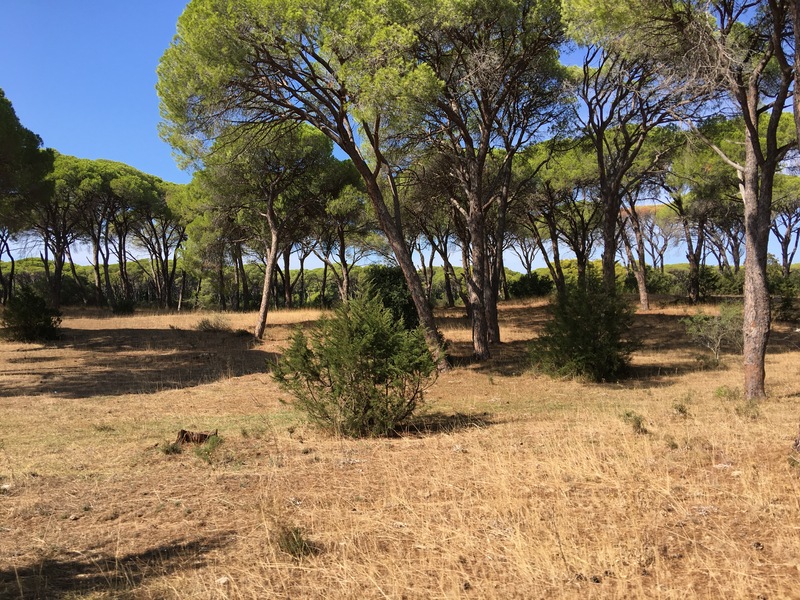 Paloma, our motorhome has a spot in the now deserted Camperstop at Kalogria Beach, speaking with the owner he is only open for another 10 days…. 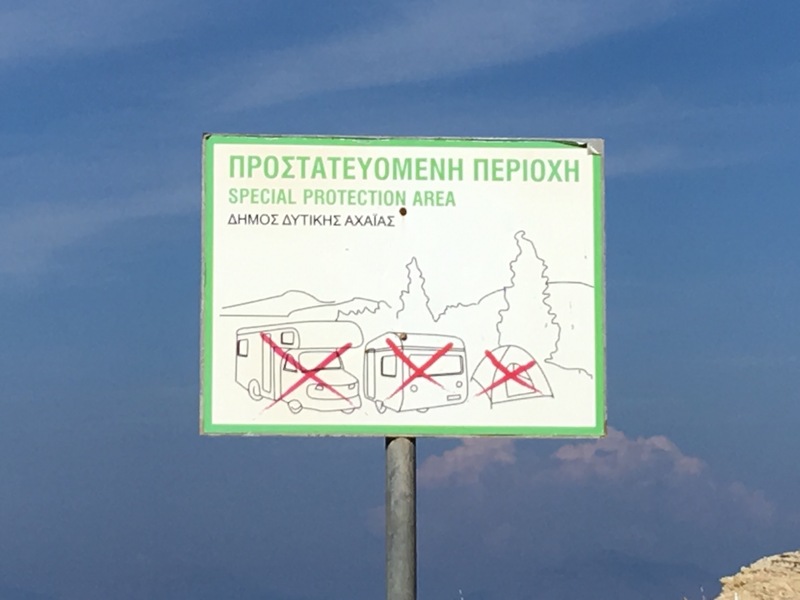 So up until now we have pretty much wild camped around most of Greece, but here the signs are very clear and with good reason! But here we have the lot and only €10 per night, water, waste, toilets, showers and unlimited WIFI- yes sad I know but how I’ve missed it !!! Six weeks of Greek life, see’s both of us a little sad to be leaving, but head has to rule heart and if we stayed put, I’m sure we could have pottered from bay to bay for at least another month. But no, head says we need to move up through Italy before the weather turns (too much). 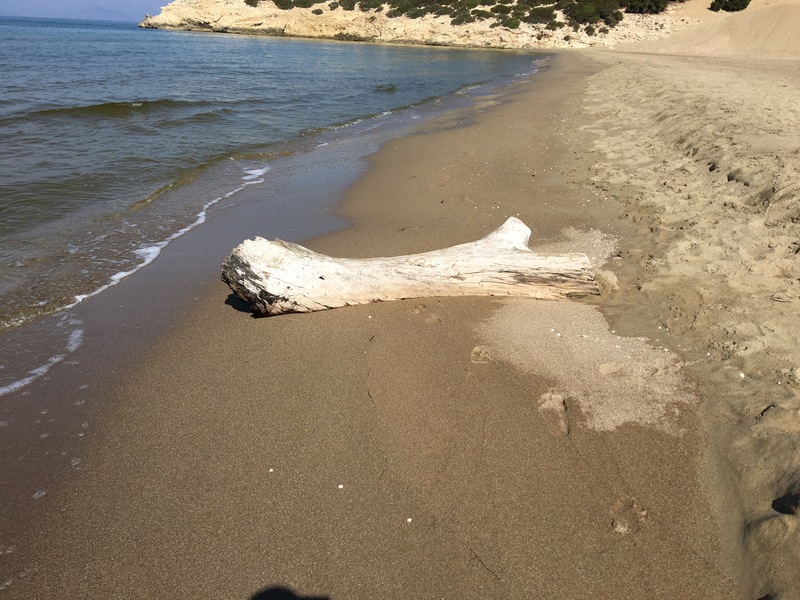 As you can guess we are heading back up the coast having booked ourselves on the Patras to Bari Ferry, but that was not going to stop us finding one last perfect beach ! And yes, Kalogria is one of the most beautiful beaches of the Peloponnese. At only about 45 minutes into the port, this place makes a perfect stop over weather arriving or like us departing, this captervating part of the world. The incredible beach and national park at Kalogria is a protected area with a long sand beach and a forest that is so thick, you lose all sense of where you are…. The beach and it’s 22 KM of sand dunes, were what draws us here and they did not disappoint. As we walk along the shore all our eyes can feast on is the sea-bound horizon, with the outlines of mountainous Greek islands. The sun’s continuing to shine and it’s rays are bouncing from the sea, another slice of heaven ! 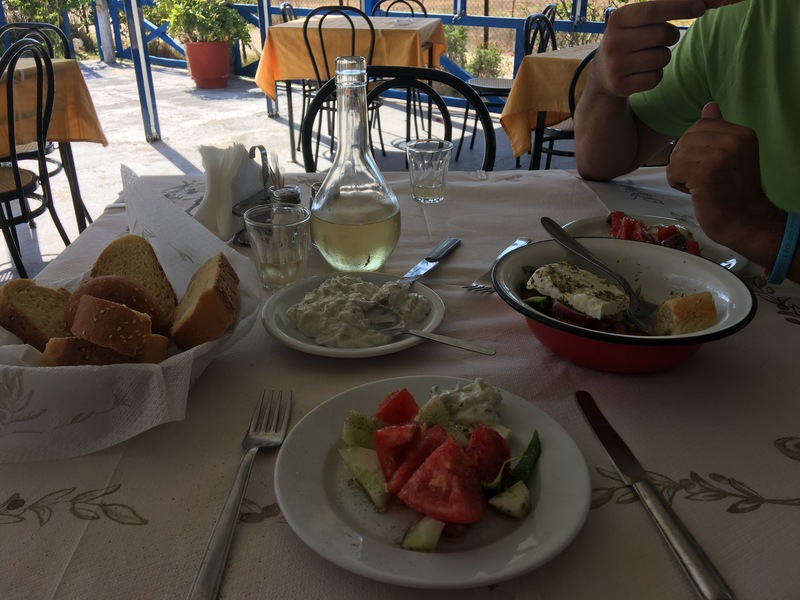 Being our last full day in Greece, we treated ourselves to a meal out (not that we don’t eat out like twice a week), walking past the two posh looking hotels and restaurants we find a slightly run down looking place, a proper Greek Taverna no English menu, no English spoken really – a truly wonderful experience and the cheapest meal we’ve had so far. !